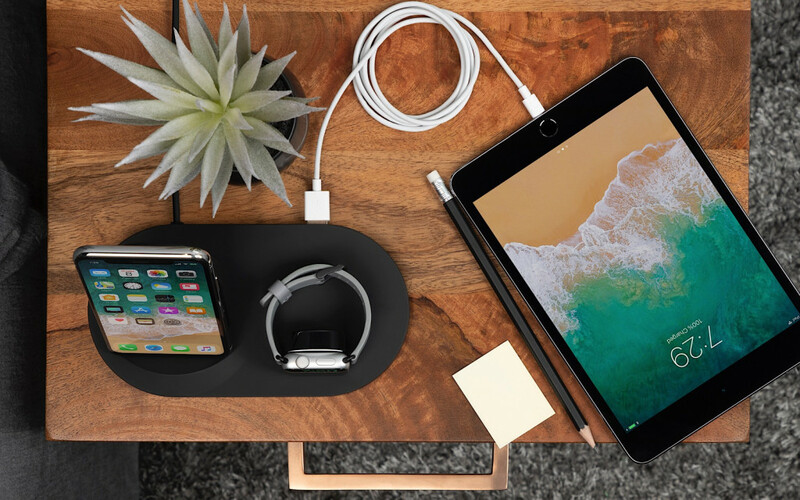 iPhone users with an Apple Watch haven’t really seen a charger that wirelessly handles both of their Apple products, but a Belkin gadget will offer what Apple never did. For all the hits Apple makes, there have been the occasional miss. Many products make their way out into the hands of customers and impress their way to our hearts, and then there are others that, well, don’t. Some of them just don’t come out at all. Missing in action for what seems like over a year, Apple’s AirPower dual charge pad for the iPhone and Apple Watch is still unreleased, though there are rumours to suggest it’s coming soon. These are not yet confirmed by Apple, which means customers keen to charge both the iPhone and Apple Watch wirelessly are left unable to. You can charge an iPhone 8, iPhone 8 Plus, iPhone X, iPhone XR, iPhone XS, and iPhone XS Max wirelessly with any wireless charger, but you’ll still need Apple’s dedicated Watch charger if you’re to charge the Apple Watch at all. Belkin’s latest edition of the Boost Up Charging Dock is wireless, offering a built-in Apple Watch charger and a stand-up wireless charging dock for an iPhone, with a USB-A port on the back to charge something else, too. The solution means there’s now something that will ditch the wires for both Apple Watch and iPhone, merging it all into the same device, and with two variations. 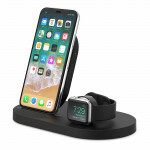 A soft ovular design arrives in the standard Belkin Boost Up Wireless Charging Dock for iPhone and Apple Watch found at JB HiFi, while a more rectangular design-focused model with some spacing in between its stand comes in a special edition only available at Apple Stores. There is one catch: while the USB port on the back will charge a pair of AirPods or an iPad, it will likely have more luck with the former, not the latter. Belkin tells Pickr that the power on the back is a 5W/1A (5 watt, 1 amp) port, which is much lower than the power needed to charge an iPad quickly. Sufficed to say, if you intend to charge an iPad using this port, best leave it on all night while you’re sleeping. 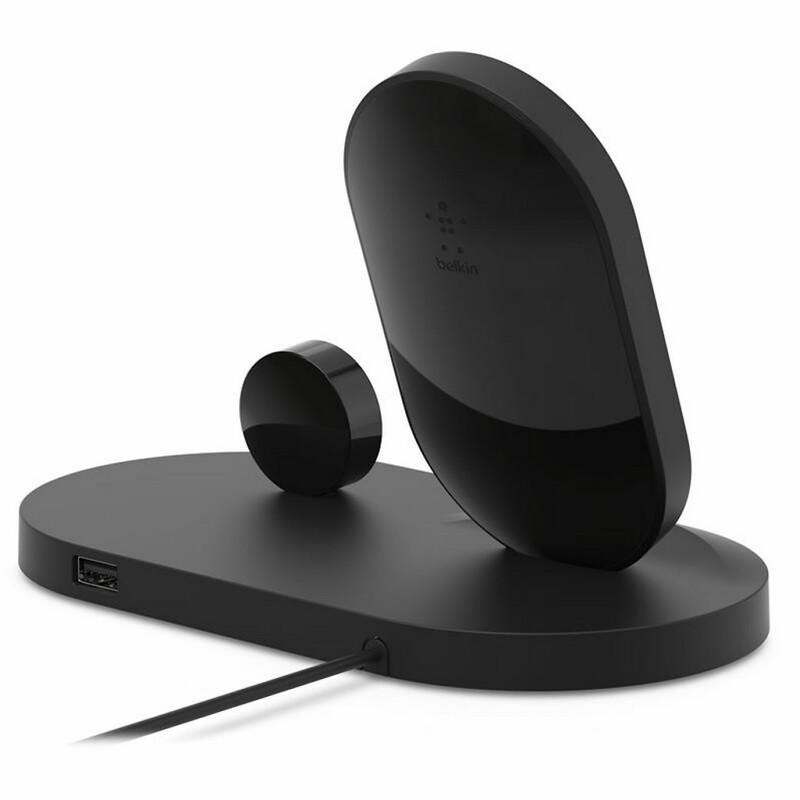 You’ll find the Belkin Boost Up Wireless Charging Dock variations in stores now, though, both retailing for $249.95. 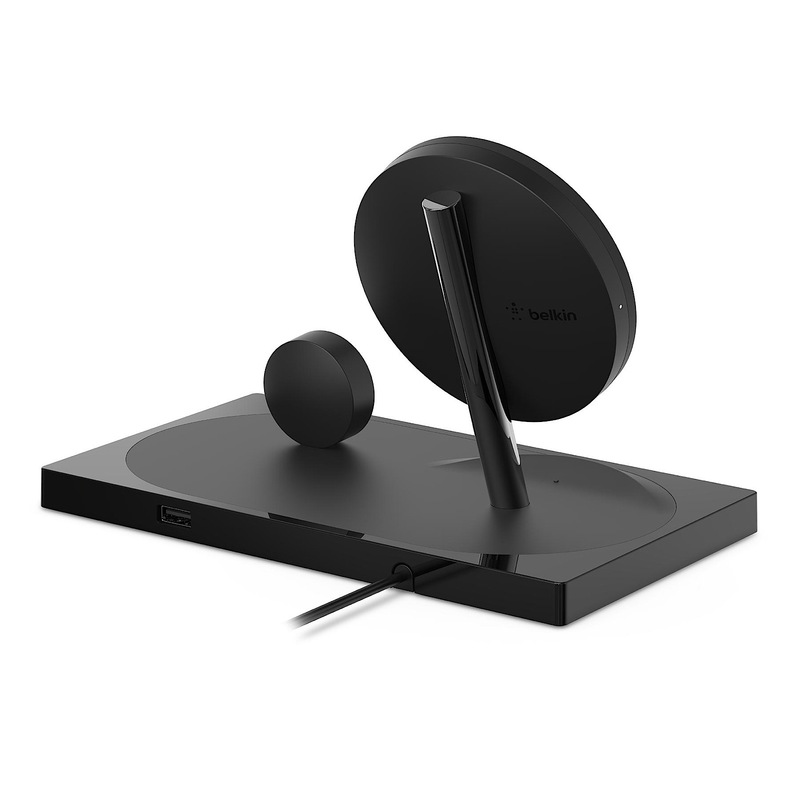 …while the Special Edition exclusive to Apple Stores seems more focused on minimalist design.